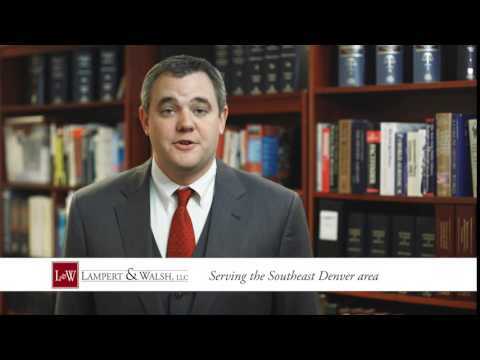 Hurt in a Boating Accident in Colorado? Boating is a very relaxing and enjoyable activity for many Coloradans. We choose to live in the State of Colorado because we like spending time outdoors. For many of us, boating for sport or boating as a fisherman is one of the best ways to spend a day off or a weekend. Unfortunately, any time you have high speed water crafts such as boats, wet bikes, or jet skis, individuals riding those water crafts pose a substantial risk for themselves and other individuals in the water. We assume that owners of boats, jet ski and wet bikes take the proper precautions to safe guard individuals from injury. This trust is often misplaced. Boat owners and fisherman that take to the water are often unaware of regulations and laws that affect the water way. The worst case scenario may involve owners of boats, wet bikes, jet skis or fisherman drinking alcohol, ingesting drugs, or becoming intoxicated while on the water. Whether boat owners or fisherman are unaware of the proper regulations or are intoxicated, it poses an increased risk for negligence and puts everyone else in harm’s way. If you’ve been injured as a result of the negligence involving a boat or other water craft there is a good chance that you have been substantially injured. Injured victims are often scared and unsure as to what the next step should be. Clients that are hit by boats or injured while boating are generally harmed more so than individuals that are hit while in a motor vehicle. This is due to the fact that you are more likely to be hit directly while in the water or have the risk of flying out of a boat after being in a boating accident. You need a law firm that is familiar with these types of accidents and has a history of making claims against the Insurance company and representing injured parties. You need a law firm that is aware of the boating rules and regulations in the State of Colorado. Finally, you need a law firm you can trust and that can help you get the medical treatment you need. We set our clients on the road to recovery and assist them every step on the way in getting medical treatment and a fair settlement of their claims. Generally, these negligence actions need to be brought within the first two years of the accident occurring. Obtaining an attorney sooner rather than later will help preserve your rights and get you on the path to recovery. At Lampert & Walsh, LLC we will work hard to make sure you get the medical treatment you need, we will deal with the insurance company and preserve your rights, and we will fight for you to make sure you get every dime you deserve as a result of the injury you sustained. Reporting these accidents to the authorities early and setting up a claim against the negligent individual will help preserve your rights. In other words, the sooner you get a law firm to represent your needs the better off your case will be in the long run. Talk to us today and let us do an evaluation of your case free of charge. Call our attorneys at Lampert & Walsh, LLC and let us start working on your case today!